Gambling is a bigger problem for kids than you might think. 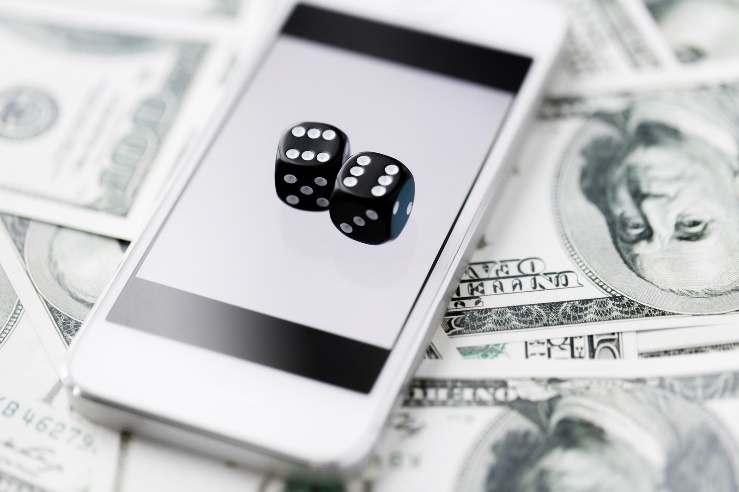 While you don’t necessarily have to worry about your nine-year-old wandering into a casino and blowing your life savings, you might have to worry about them gambling on your phone or tablet. It seems far-fetched, but more and more kids are exposed to gambling and contests through mobile apps every day. First of all, if your child has access to your App Store or Google Play password, then they can download any app they want whenever they want. They can even rack up charges to your credit card or cellular bill by purchasing paid apps. Even if they’re not charging your credit card $0.99-4.99 per game app that they want, this still gives them virtually unrestricted access to all kinds of apps that are not age appropriate. Fortunately, there’s an easy way to fix this. Just change your password and don't give the new one to your kids. By doing this, your kids will have to come to you whenever they want to download anything, even if you’ve given them their own tablet or phone. As long as they don't have the password, you control what goes on their devices. Another way that apps with gambling and contests get through to kids is through advertisements. Let’s face it – you’re not going to buy most of the mobile games that your kids play. Instead, you’re going to go with the free versions so that your kids have something to do on long car trips and in waiting rooms that won’t cost you any money. Well, unfortunately, there’s a flaw in this reasoning. Free games and apps come with advertising, and you cannot control what gets advertised on your kids’ apps. Plus, the makers of gambling and contest apps aren’t just targeting adults – they’re targeting kids and teens, too. Why do you think that so many of those ads feature cartoonish characters and bright colors? They’re intended to catch kids’ (and adult's’) eyes and get them to click through and either download an app or enter a contest. If you’re concerned about the advertisements featured in the apps your child uses, you can save yourself some worry by choosing the paid versions. These usually cost only $0.99-4.99 and you only have to pay once; rather than getting constant advertisements and feeling as though you have to look over your child’s shoulder every time they use the app. Some apps may also feature links to contests or other gambling opportunities on their websites. These can take your child out of the app and into a browser window where they’ll have access to contests, drawings, and other content that may or may not be age appropriate. So why is it important to limit your child’s exposure to gambling and contests? Well, believe it or not, early exposure to gambling can cause a whole host of developmental problems. Recent studies have shown that children and teens that get in the habit of gambling tend to show more anti-social behavior and more of a propensity toward anxiety and depression. Their grades also tend to suffer, along with other psychological and behavioral problems. Not only that, but if your child starts gambling using one of your phones or other mobile devices, they’ll likely be making their bets with your credit card or cellular account. So, not only can gambling and contests in apps do harm to your child’s development, but it can also do serious harm to your bank account or your credit. If you’ve looked at an app’s App Store description, you may think that it is relatively harmless, but it's important to remember that those are written by the people who made the app, and they have their own interests at heart. Not yours. For a better guide to high- and low-risk apps for gambling and contests, go to our directory and search for the apps your kids want to download. This will provide you with a much more detailed rating system with full reviews of numerous apps, along with comprehensive explanations for why they aren’t appropriate for certain ages. With this information, you’ll be able to make a better decision.